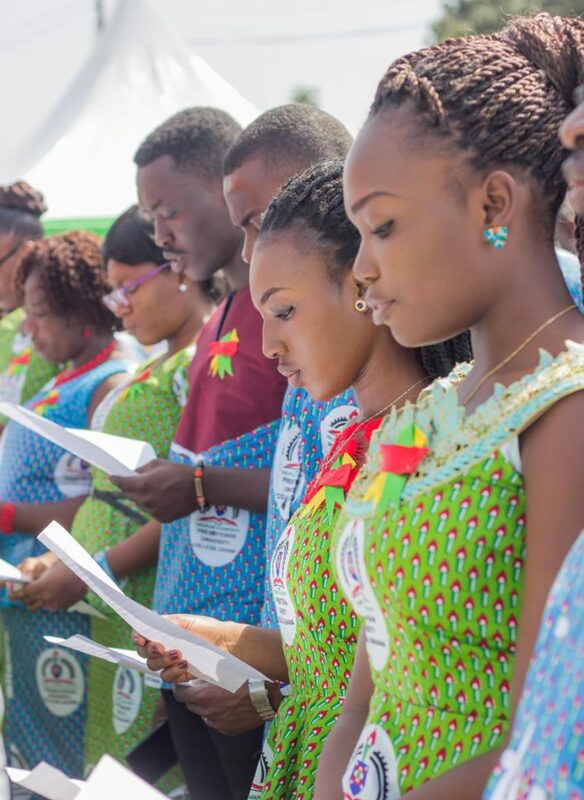 The Presbyterian University College, Ghana (PUCG) held its 16thMatriculation for students admitted onto various programmes for the 2018/2019Academic Year on 15th December, 2018 at the Asante Akyem Campus of the University. 418 students comprising 238 males and 180 females were admitted into various under graduate programmes and campuses. Delivering a speech at the 16th Matriculation, the President of PUCG, Rev. Prof. Emmanuel Adow Obeng thanked parents and guardians for bringing their children and wards to the University and assured them that it is an excellent choice they have made and promised the students of exciting experiences ahead. Rev. 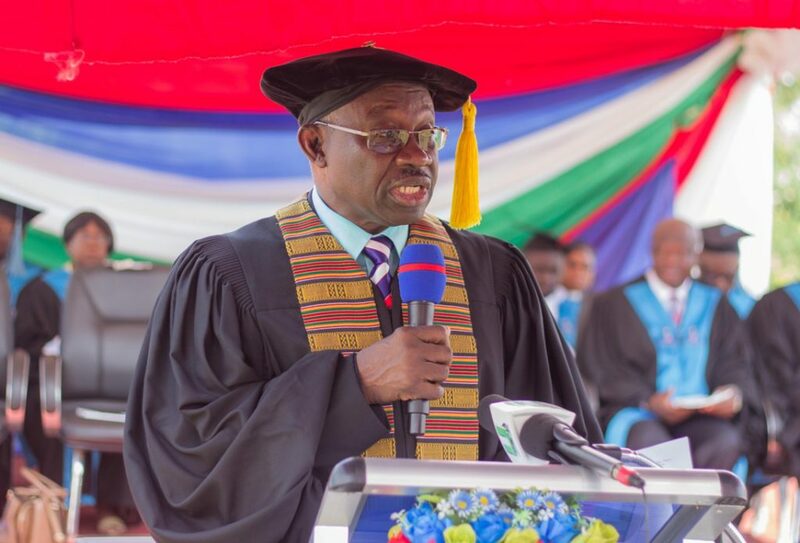 Prof. Emmanuel Adow Obeng said the Presbyterian University College, Ghana stands for Discipline which stems from the Holistic Education we offer. He admonished them to imbibe the University’s core values of Discipline, Determination, Commitment, Humility, Hard work, Integrity, Excellence and Faith in God. Taking a cue from the Presbyterian Church of Ghana’s philosophy on education, the President said the University will continue to design and implement academic and profession programmes within the context of Christian ethics to provide holistic education to the students. To deal with the “unfair” competition from the Public Universities, Rev. Prof. Emmanuel Adow Obeng appealed to the Conference of Independent Universities (CIU) to use a collective voice to lobby government to check the growing “appetite” of public universities for increased enrolment despite overstretched facilities. The President warned the students that those caught in examination malpractice would be handed outright dismissal. “In the past, students who were culpable in examination malpractice were rusticated for a semester or two depending on the gravity of the offence but the University Council at its 64th Meeting held on 21st November, 2018 has directed Management to give outright dismissal to such students” he disclosed. Rev. Prof. Emmanuel Adow Obeng also cautioned students against sexual harassment stating that such acts of debasement would not be countenanced on the campuses of the University. The President disclosed that a number of programmes are at various stages of affiliation and accreditation and the University is working hard to get approval to begin those programmes at the 2019/2020 Academic Year. The programmes are BSc. Computer Engineering, BSc. Midwifery, B. A. Communication Studies, Doctor of Optometry, MSc. Financial Risk Management and MPhil. Educational Studies. Higher National Diploma in the fields of Computer Engineering, Media and Mass Communication, Information Management and Technology, and Event Management. The Diploma programmes are Business Administration and Public Administration. Rev. Prof. Emmanuel Adow Obeng reiterated that the University will inculcate in our students entrepreneurial skills so that they can create jobs for themselves.